Ainsworth Army Air Field, completed on November 30, 1942, was a satellite of Rapid City Army Air Field and under command of the Second Air Force. The field was one of eleven Army Air Force training bases built in Nebraska during World War II. The 2,496-acre field included three 7,300 x 150-foot concrete runways, a hanger, warehouse, repair and machine shops, link and bomb trainers, Norden bombsite vaults, and barracks for over 600 officers and enlisted men. The base's primary mission was to provide proficiency training for P-39 and P-47 pilots of the 364th and 53rd fighter squadrons, and for B-17 crews of the 540th and 543rd bombardment squadrons before deployment to the European Theater of Operations. Aircraft camouflage experiments were also conducted on the site. 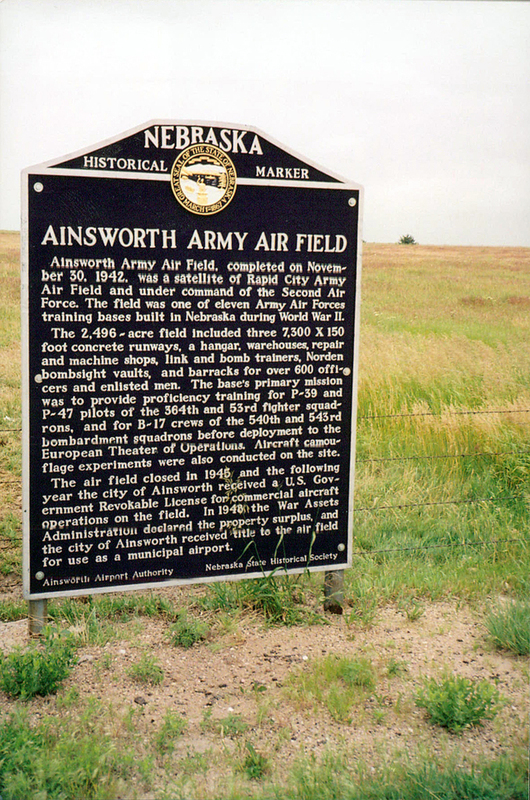 The airfield closed in 1945 and the following year the city of Ainsworth received a U.S. Government revocable license for commercial aircraft operations on the field. In 1948 the War Assets Administration declared the property surplus, and the city of Ainsworth received title to the airfield for use as a municipal airport. 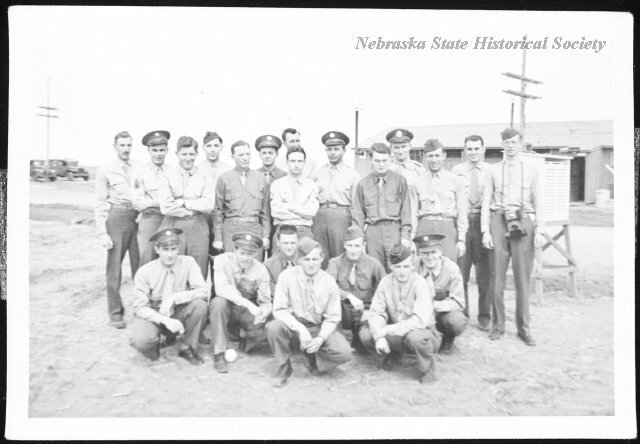 “Ainsworth Army Air Field,” Explore Nebraska History, accessed April 19, 2019, https://mynehistory.com/items/show/24.